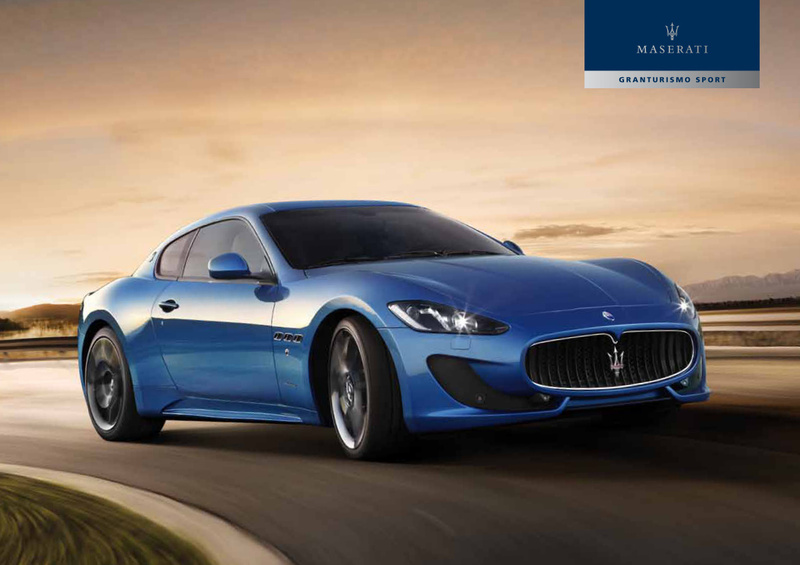 Sales brochure for the 2015 Maserati Granturismo Sport. Under the hood is a 4.7 litre V8 engine, that has 460 HP at 7,000 rpm, and a top speed of 186 mph and accelerates from 0� mph in 4.7 seconds. The performance of the version with the MC Auto Shift gearbox has a top speed of 185 mph and 0-62 mph in 4.8 seconds. Brochures are presented for research use only. Company marks, emblems, and designs are trademarks and/or service marks of Maserati.